Comics are the awesome crossroad between art and writing. Whether you follow your favorite Marvel or DC hero, keep up with an indie webcomic, or always turn to the funnies at the end of a newspaper, comics have at some point touched our lives. For this showcase, we challenge you to try your hand at creating your own comic panel! It can be simple or epic, stick figures or the Mona Lisa, dramatic or comedic. Using the template below, fill in the blanks with your own characters, scenario, and talk bubbles. Our sponsor for this drawing challenge is Sketchbook Skool! 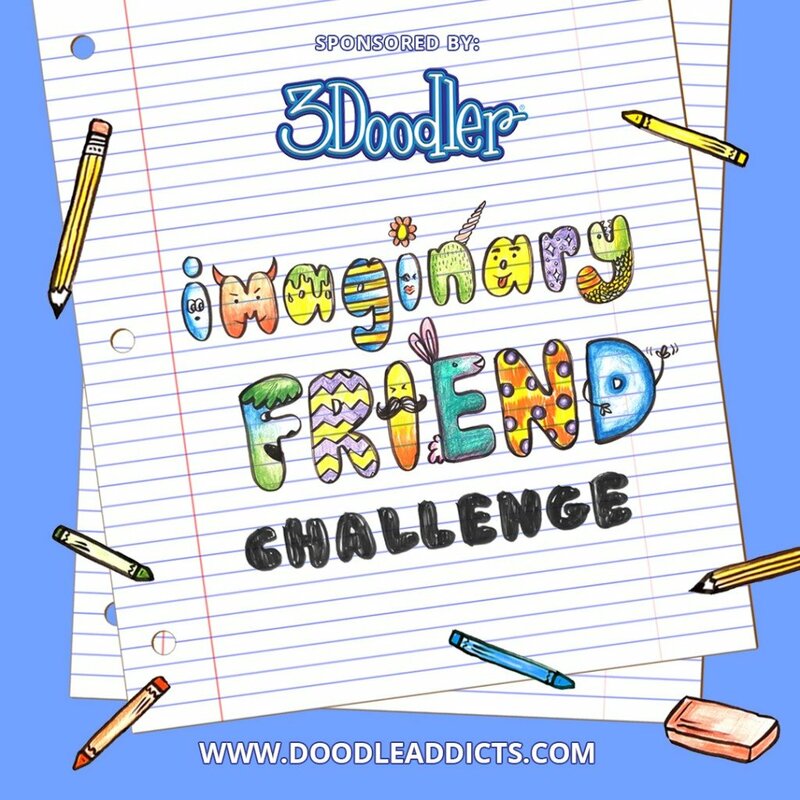 A source of inspiration and guidance for doodlers from all walks of life, whether you are just dabbling in search for a creative outlet or been doing it for years as a serious passion. Their classes contain a wealth of tips and tricks on how to make your sketchbook look as awesome as the ones we write about, and they were cool enough to let us share some of their knowledge of comics (read below) to help you with this challenge. Sketchbook Skool is an online, video-based art school. We are a global group of art teachers, professional illustrators, and creative educators dedicated to instructing and inspiring people to tell their stories through illustrated journaling. We are a worldwide community of people who want to turn the ordinary moments of our lives into extraordinary moments through drawing. Check out our online kourses. Cried every cat owner ever at some point in time. Magic of Life hides in little things. This is just a doodle artwork of my longing for my relatives and friends back in Korea. I have not seen them for 20 years but whenever they send me messages from afar, I always feel like they are with me in spirit. Love and trust is quite an interesting feelings and a relief to know that there are people out there cheering for one even though one is not physically present. My first ever comic and my first ever DA submission, but I can never resist a Sketchbook Skool challenge! I drew an impression of my studio during a rainy day. I used a brushpen for the outlines and screentones for the shadows/grey-effects. I wanted to do a "talking heads" newspaper strip inspired submission. so I thought up a dumb joke and tried to imagine the sort of strip this would work in. I also love monsters and thought the idea of a comic about a bunch of monsters sharing a house would be funny. 'The Best Ideas' Sometimes the wildest and unique ideas come just as I am falling asleep, most times they slip away and I can never remember them, but perhaps it is possible to capture someday? Everbody with a pubescent son knows, that it is hard work ..
Every year on the day of his wife's passing, a man visits the places he and his wife last went before she passed. He does this without fail every year. On every 21st of November. A real life tiny adventure. The one thing that artists dread. . . . I have been studying for a Masters in Anthropology in the last few years and have been studying power and control in systems. My own transition to being vegetarian led me to think of this idea after looking at our food systems. Though pigs are living beings like us, when we call their flesh 'pork', it creates a disconnect in where our products come from. It was once living, walking and talking. If people had to produce their own meat products, there would be much less meat consumed I feel. The first ever public appearance of my new characters Norm & Spas. At first they were very shy to participate, but now they are here and they hope that you will like them, and so do I. "Long Distance love is a true power" My inspiration for this work comes from my life, when i was in this situation. All the great powers and special unique forces can't beat the feeling of love. So i made it clear in my submission what is extraordinary power in these too... Power of the waiting and being patient. This is a short comic strip open to various interpretations of many modern problems. Bad Dog was young and foolish once. He made ONE mistake.